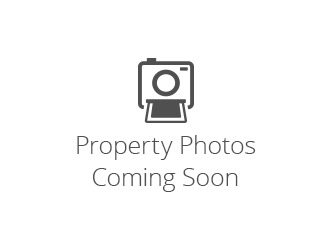 3544 San Miguel Ct, Bonita, CA 91902 (#180001905) :: Ardent Real Estate Group, Inc. Astonishing luxurious single story , Corner Lot, In Gated Estate Community! This home features completely upgraded kitchen with Dacor appliances, granite counter tops, Cook top features 2 warming trays, dual convection ovens, sub zero fridge, travertine tile, water softener (leased), walk in pantry, dual pane windows throughout with shutters, surround sound in family room, hard wood floors, all bathrooms upgraded with travertine and granite countertops, see supplement for more features! Master bedroom has dual sinks, large walking closet, and jacuzzi tub, FP in master has custom granite. One of the bedrooms converted to a library with built in cabinetry, sitting area and desk and custom lighting. Backyard has covered patio, fire ring and was in process of renovation. Owner has plans and permits paid for backyard renovation, property approved for hero program buyer can add their own custom touches or add pool. Backyard features built in dog run, large flat useable lot with room for pool! Over 1 Acre flat useable lot! 10k credit for landscaping with full price offer! Equipment: Vacuum/Central. Heating: Forced Air Unit. Association Fee Includes: Common Area Maintenance,Gated Community. Market Area: South Bay. Roofing: Tile/Clay. Sewer: Public Sewer,Sewer Connected. Residential Styles: Detached.